Transportation facilities are a necessary part of a country’s infrastructure. Efficient traveling and transportation of production and consumption goods are necessary requirements for competent trading within and across states. Transport networks are at the heart of the supply chain and are the foundation of any country’s economy by permitting goods to be distributed effectively and people to travel. Transport is a foundation of the European integration procedure and is firmly correlated to the formation and completion of the internal market, sponsoring jobs and economic growth. Conventionally, the document comprising the contract of carriage is either a charter party or a bill of lading, depending on the way in which the vessel has been employed. Other documents in the form of a multimodal/combined bill of lading may be issued as well. These two forms of contracts are discernible. A bill of lading is a contract with regard to the cargo, whereas a charter party is a contract concerning the vessel. Ocean bills of lading have an inherent value as security to banks that finance the sale of the underlying cargo or the documents themselves, and they enable their lawful holders to sell the cargo while in transit by transfer of the document. 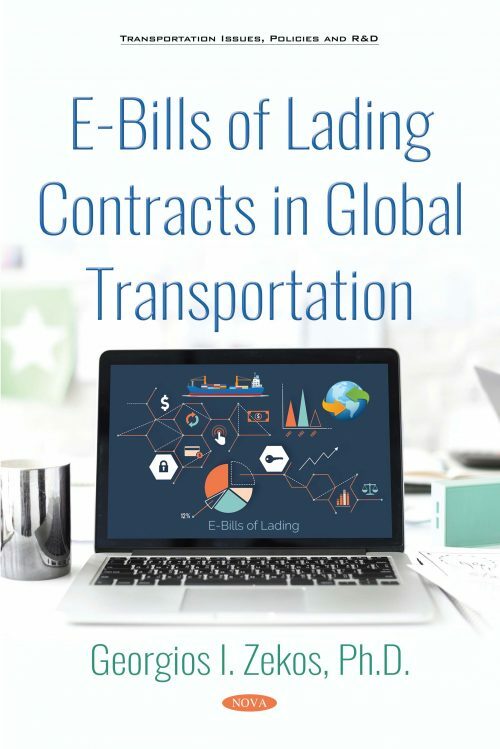 The key obstacles in the employment of paperless bills of lading and other transportation documents take account of the law’s insistence on paper-based documentation, written signatures, and out of date transport and secured transaction laws. The bill of lading is the used document by shippers, carriers, and banks, and so is an indispensable part of the set of documents needed in documenting the operation. Customarily the “transaction documents” consist of, inter alia, the bill of lading, the marine insurance policy, and the commercial invoice, each of which epitomizes components of the contracts of carriage, insurance, and sale. The significance of maritime documents is confirmed by the fact that some eighty percent of total commodities are transported globally by sea. A bill of lading has commonly been said to have three characteristics: 1) A contract for the carriage of the goods; 2) an acknowledgement of their receipt; and 3) documentary evidence of the title. The bill of lading is a commercial document. Nevertheless, there is an uncertainty and dispute about its contractual nature.